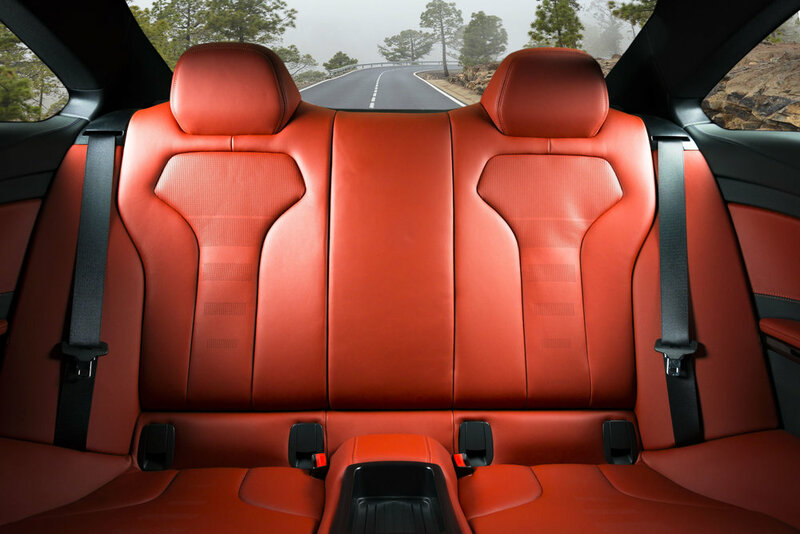 R&R Seats, Inc. Auto Interiors and Tops provides exceptional auto upholstery, leather upholstery, auto interior restoration, and furniture upholstery services to Long Island. We are an owner-operated auto seat upholstery shop with over 50 years of combined experience located in Plainview, New York. We offer many services such as auto interior repair, convertible tops repair, convertible top restoration, boat interior restoration, boat seat upholstery, auto upholstery, office upholstery, custom motorcycle seats, seat heater installation, and more. R&R Seats is your full stop for an auto interior repair shop. Looking for that auto upholstery near me shop? That’s us! Our reputation means everything, so you can always expect to receive high-quality workmanship by one of the owners here at R&R Seats, Inc. Auto Interiors and Tops servicing both Nassau County and Suffolk County. R&R Seats, Inc. Auto Interiors and Convertible Tops can tackle a variety of projects on Long Island. We offer leather seat repair, leather upholstery, leather reupholstery, fabric seat repair, boat seat repair, cigarette burn repairs, custom motorcycle seats, harley seats, upholstery foam cushioning, carpet installation, windows, seat heater installations, auto interior restorations, auto interior upholstery, headliner installation, home and office sofa repair, loveseat repair, convertible top repair, convertible top restoration, dental chairs, medical chairs, dining room chairs, office chairs and more! We are your local and family-owned furniture upholstery shop and auto upholstery shop. R&R Seats Inc. Auto Interiors and Tops can accomplish any leather seat repair or other materials from cars and trucks, to boats and custom motorcycle seats. We'll customize or restore the leather upholstery in your vehicle to make it like new again. We have a selection of bench and bucket sets ready for immediate delivery. We are Long Island’s oldest and most reputable upholstery shop. At R&R Seats, Inc. Auto Interiors and Tops., we can offer leather upholstery, fabric upholstery, upholstery repair and leather reupholstery services for sofas and love seats, dining room and kitchen chairs, office chairs, exam tables, dental chairs, diner booths and more. Our Long Island furniture upholstery shop is trusted and diligent. Contact us today, we are located in Plainview, NY! Are you looking to fully restore the interior of your classic car? Our auto interior restoration services offer convertible tops, classic car upholstery restoration, car window installation, and headliners, to carpeting, leather reupholstery, custom leather interior and seat repairs, R&R Seats Inc. Auto Interiors and Tops, can help you get your car back to looking brand new again! Aside from custom motorcycle seats, auto upholstery repair, auto interior restoration, commercial upholstery and furniture upholstery, R&R Seats also offers boat seat upholstery repairs, boat seat reupholstery and boat top repairs. Have your vessel perfect this upcoming boating season in areas like Northport, Huntington, Oyster Bay, Bayshore, and all across the North and South Shore. R&R Seats, Inc. Auto Interiors and Tops can repair or replace your existing headliner in your vehicle with our auto headliner repair services. There is a variety of colors to choose from. Contact us today! We can repair and replace damaged, ripped, leaking convertible tops with our convertible top repair services. If your top is giving trouble drop in for a free inspection. We can replace your old heaters if they are defective or even modify your existing seats and install a seat heater or massager. We also offer leather upholstery and car interior replacement fabric. Do you have a do it yourself mentality when it comes to projects? R&R Seats, Inc. Auto Interiors and Tops can also offer foam cushioning and custom fabrics. This is for those of you who like “DIY” at home projects. We can provide you all types of foam and cushions cut to any size to make it hassle-free. This can be for any project such as: window seat cushions, chairs, headboards, and other DIY upholstery projects. R&R Seats, Inc. Auto Interior and Tops has a large variety of fabric to choose from. Anything from floral designs, patterns, classic solid colors and custom leather designs, we can help tackle any project. FOLLOW US ON INSTAGRAM TO SEE OUR DAILY PROJECTS! Copyright © 2018, R&R Seats Inc. Website Designed by M&M Social Media.